As part of this Citrix program, NetApp joined Citrix at their Solutions Lab in early 2014 to stress test a NetApp FAS2240-2 hybrid storage array. 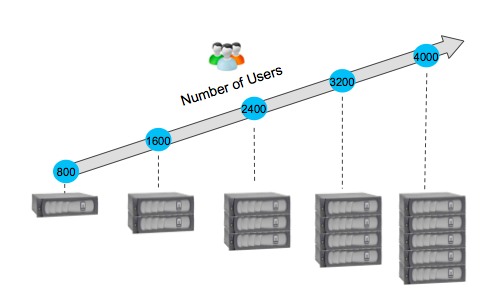 The stress testing took place against a 750 seat desktop virtualization environment based on Citrix XenDesktop 7.1. The end goal was to prove NetApp can deliver a storage solution at a very economical end user storage cost of $37 per desktop. 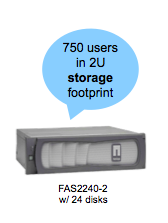 The NetApp FAS2240-2 was completely configured and setup in under two hours. 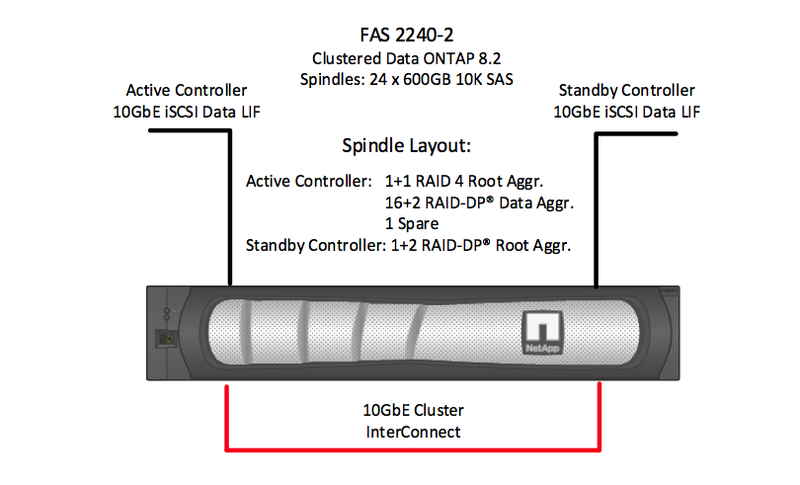 Below is an outline of the entire NetApp storage solution configuration. The storage was configured with a single iSCSI clustered Data ONTAP® storage virtual machine (SVM) for hosting the virtual desktops as well as a single SVM for CIFS shares to host user data. Each LUN was attached to a unique Hyper-V host which contained 85 virtual desktops booting from Citrix PVS. The environment could have supported around 800 virtual desktops. For customers looking for an efficient, scalable, and resilient XenDesktop deployment under 1000 seats, the NetAppFAS2240-2 based storage solution excels at providing substantial performance, density and scalability at a very affordable $37/desktop. Through this Citrix Ready validation program, NetApp has demonstrated the ability to deliver a cost effective virtual desktop that provides a better user experience without impacting overall performance, scalability, or manageability. With the capability to run 750 desktops from a 2 rack unit hybrid storage array and the ability to scale without disruption to operations, this solution can be used by both small businesses and large enterprises. NetApp provides an outstanding solution for your desktop virtualization needs.